Customers of RDM Equipment Sales and Rentals will now be able to get hold of Terex Trucks machines. British Columbia (BC) is the westernmost province in Canada. With its mountainous landscape and abundance of lakes, it’s a popular holiday destination for thrill seekers who enjoy activities such as camping, hiking and river rafting. BC is also a very popular location for contractors in the business of construction, as there are many large-scale projects taking place across the region. The Millennium Line Broadway extension project is already underway, which will see the rapid rail line extended by more than 5km. There are also plans to replace the 629m (2,064 ft) George Massey tunnel and build a natural gas pipeline that will be 670km in length. 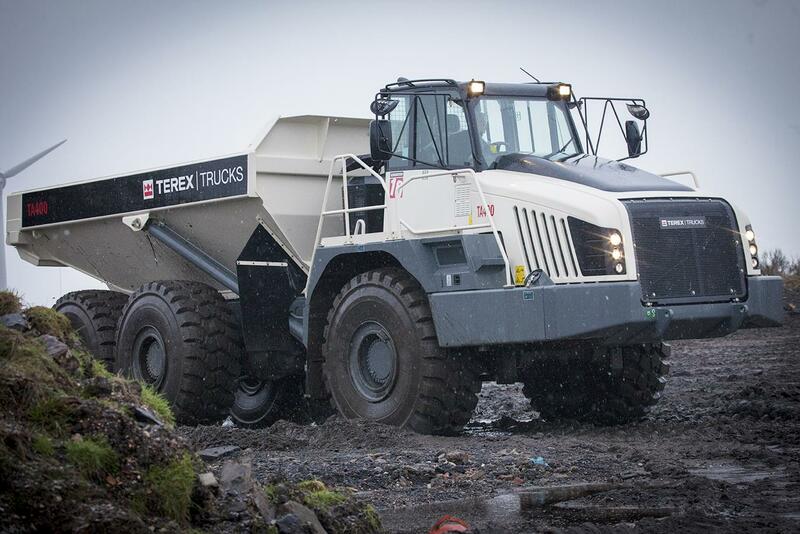 The 38-tonne TA400 articulated hauler is designed to operate in challenging conditions. 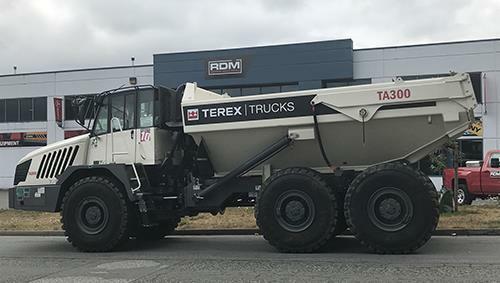 RDM Equipment Sales and Rentals will be supplying Terex Trucks TA300 and TA400 articulated haulers within BC. The recently upgraded TA300 – which can haul 28 tonnes (30.9 tons) and has a heaped capacity of 17.5m³ (22.9yd³) – now comes with the new ZF EP320 transmission. This means smoother gear shifting and a 5% improvement in fuel efficiency, as well as enhanced performance, productivity and operator comfort. As a result of this product upgrade, the TA300 also now comes with long life transmission fluid, increasing the length of time between oil maintenance intervals from 1,000 to 4,000 hours. In addition to all of this, the TA300 also has true independent front suspension as standard, further enhancing operator comfort and enabling excellent traction control and maximum productivity. Terex Trucks articulated haulers are firm favorites among customers working in mines, quarries and large-scale construction sites. The largest articulated hauler in the company’s product offering is the TA400. It is able to haul 38 tonnes (41.9 tons), boasts a heaped capacity of 23.3m³ (30.3yd³) and comes fitted with a Scania DC13 engine. It is fitted with an Allison HD4560 transmission, high performance oil and offers up to 6,000 hours between service intervals. This heavyweight hauler also provides great traction and an effective power-to-weight ratio, which ensures material is moved quickly and efficiently at minimal cost.